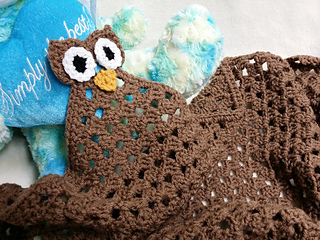 This is a simple granny style baby receiving blanket that has an owl motif in the top corner. It is very quick and easy to make. 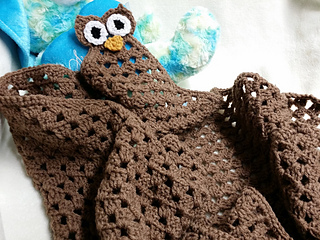 If you purchase 2 skeins of yarn for the blanket, there will be enough left over to make a matching accessory. 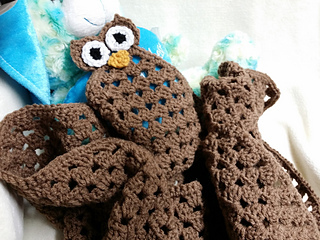 There is a video tutorial that can be purchased in addition to this pattern. Visit the Poochie Baby website store to purchase.